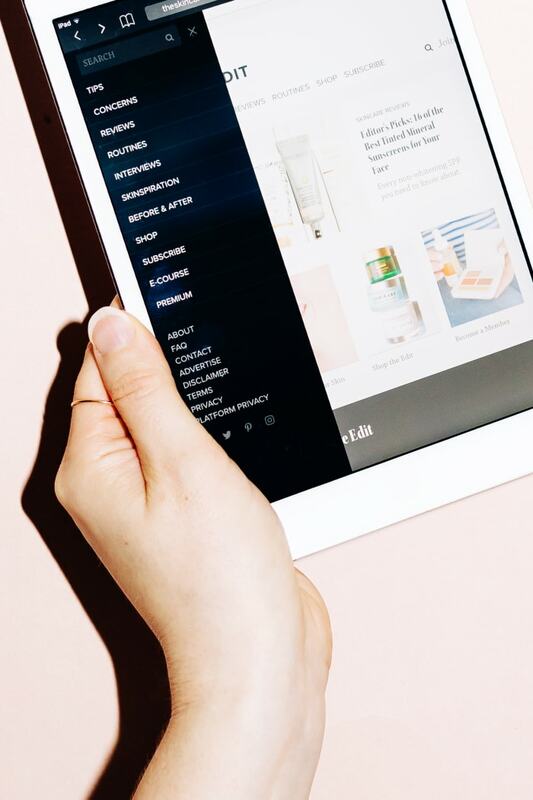 Welcome to The Skincare Edit: Announcing Our New Name, New Website and New Look! HomeWelcome to The Skincare Edit: Announcing Our New Name, New Website and New Look! Things look a little different here today—you’ve landed on The Skincare Edit! Desktop: Press command-shift-R (on a Mac) or control-F5 (on a PC). iPhone / iPad: For Safari, go to Settings; Safari; and then tap Clear History and Website Data. For Chrome, go to Chrome; Settings (from the top right corner); Privacy; and then tap Clear Browsing Data. Android: Go to Settings; Apps or Application Manager; All; then find your web browser; Clear Data; and then tap Clear Cache. That should do the trick, but if not, just leave a comment below or email us and we’ll do our best to help you out! The Skincare Edit—a complete resource for all things skincare. After a decade (ahh, I felt a wrinkle form as I wrote that! ), it was time for a new name that better reflected the purpose of this website. When I started blogging, it was an offshoot of my career as a beauty editor, and a home for all the semi-random topics that I didn’t have room (or permission!) to talk about in the pages of a magazine. Fast-forward to 2018, and the content here has totally evolved. These days, what brings me the most joy, and where I really feel I’ve made a difference, is helping people with their skin! As you may know, it was a struggle with my own skin issues, like acne, that led me to obsessively research physiology, hormones, nutrition and ingredients over the years—and I share all my findings in my in-depth articles, free course and newsletter. Ultimately, my intention is to be a complete resource for all things skincare, and for this site to guide you in my edited approach: safe ingredients, minimal formulas and a focus on improving skin HEALTH. Really, I can’t think of a more perfect name than The Skincare Edit to speak to that! Browse Tips, Concerns, Reviews, Routines, Interviews, Skinspiration, Before & After and more. Tips: This section includes Hair Tips (reader hair consultations will be resuming soon! ), Makeup Tips and Skincare Tips. Concerns: If you have a specific skin concern, articles here have been tagged under Acne, Dry Skin, Lines & Wrinkles, Oily Skin, Pigmentation and Sensitive Skin. I will be building out these sections over the coming months with more concern-specific advice! Reviews: Our product review section allows you to browse by Haircare Reviews, Makeup Reviews and of course, Skincare Reviews. There’s also a Natural & Organic tag for those interested. Interviews: This is where you can find Q&As with beauty experts and brand founders. Skinspiration: All your celebrity beauty inspiration (a.k.a. “skinspiration”) is now in this section, including red carpet reports and my round-ups of the best looks. Before & After: If you love the celebrity before and afters, this is where they are now! Premium: This is a brand new area of content I’ve created for paying members. More details below! Shop: Since I’m often asked to recommend my top products, I’ve compiled them here by category, from cleansers to skincare tools. More to come! Please note: In the migration process, some articles have landed in the wrong categories, but we’re working hard to fix those up over the coming weeks! If you’re already following this site on social media, you’ll see our handles automatically updated to The Skincare Edit. And if not, here’s where you can find us now! Better Skin in 7 is a free e-course that shares the secrets of healthy-looking skin. In case you haven’t taken it yet, Better Skin in 7 is my free seven-day email course that shares my very best tips for healthy-looking skin. After receiving the course, you’re automatically subscribed to my email newsletter (which will be resuming shortly, now that this site has launched!). Please note: You may temporarily see some old branding as we transition over our email system and sign-up links. If for some reason you are not receiving the course emails, please do not hesitate to contact us. 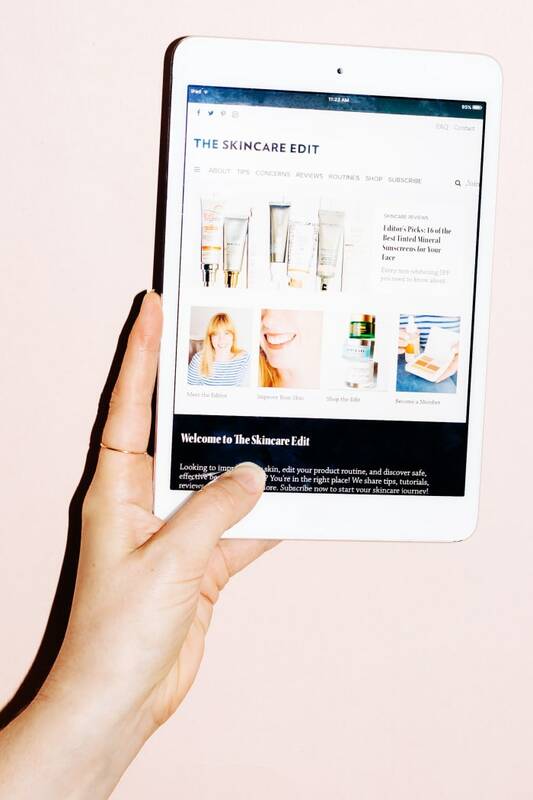 The Skincare Edit Premium gives you access to everything we publish, and no ads! Resource library: Access an exclusive, ever-growing resource library of guides, cheat sheets, checklists and more. You can save the PDFs to your computer, or print them out for quick reference! No ads: Enjoy this website completely ad-free. 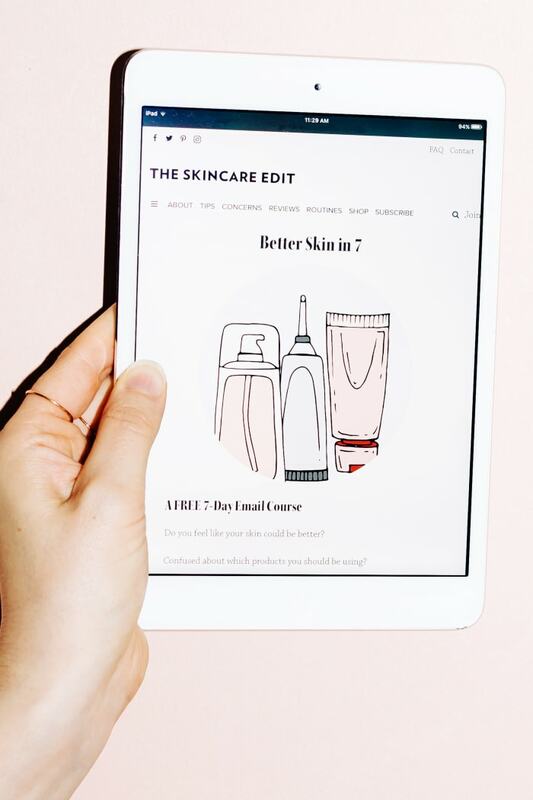 E-course: Automatically receive Better Skin in 7, a seven-day email course on the fundamentals of a smart skincare routine. 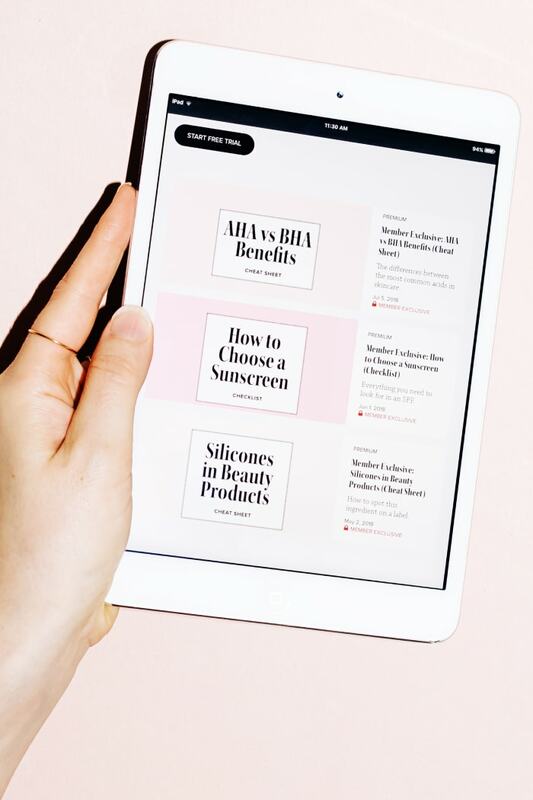 Tips and support: Get actionable skincare tips and support on an ongoing basis, straight to your inbox. The first few materials in the library will be ready next week, with new content added on a monthly basis! You can try out membership FREE for the first month; after that, it costs less than what you’d pay for a magazine—just $3.99/month. Cancel online anytime. It’s also a way to support this website (I wouldn’t be here without you!). You can sign up to become a member here. I hope you’re as excited about The Skincare Edit as I am! Again, please bear with us over the next little while as we continue getting everything in order. If you have any feedback, questions, requests or technical difficulties, please leave a comment below or get in touch. I always love hearing from you!